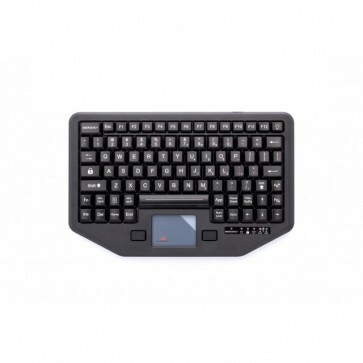 This brand new Transformer Keyboard from iKey has been designed with active service in mind—to be an ideal on-the-go solution for in-vehicle use by the emergency services. Devised with the keywords 'flexibility' and 'versatility' foremost, the IK-TR-911 offers a host of features that can accommodate a wide range of uses in the field. 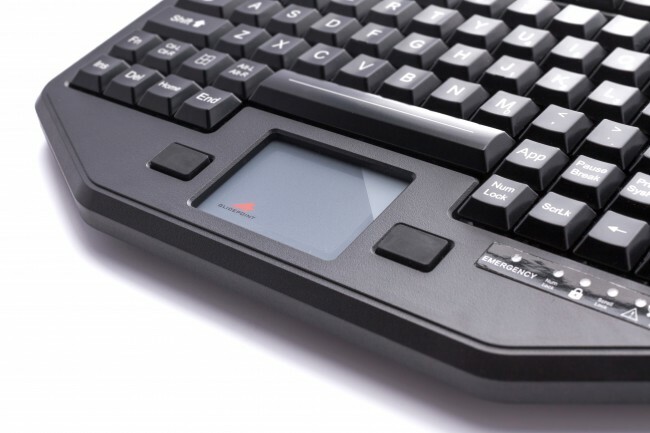 To keep things simple, however, and to facilitate an easy introduction of the new keyboard, it has been designed to fit into existing mobile mounting systems—but its range of functions and options gives it the edge over alternative models. With its built-in high-speed USB hubs and modular options, this keyboard can be used for multiple configurations in the field and on the road—and its versatility is one of its key selling points. The IK-TR-911 packs a full raft of functions and features into its diminutive case. 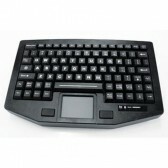 It has 88-key functionality with 12 dedicated function keys, plus an integrated touchpad and a one-touch emergency key. To facilitate use in poor conditions, the keys are backlit and the rugged case is fully sealed, making it 100% humidity proof. The keypads are made of industrial silicone rubber, with tactile mechanical snap key switches. It is resistant to dirt, dust and moisture and it operates within a temperature range of -20C to +60C. Mobile mounting holes make installation into vehicles easy and it weighs less than a kilo, making it fully portable. The new IK-TR-911 offers unprecedented flexibility of use and can withstand tough conditions on the road. It can be used on its own or mounted in a vehicle and it represents an excellent solution for military, emergency services, medical, industrial and energy industry applications. These are just some of the applications for the iKey IK-TR-911 in various industries. The potential applications extend further than those shown above. For further information about the iKey IK-TR-911 Keyboard or to check if the product is suitable for you application, please contact us. 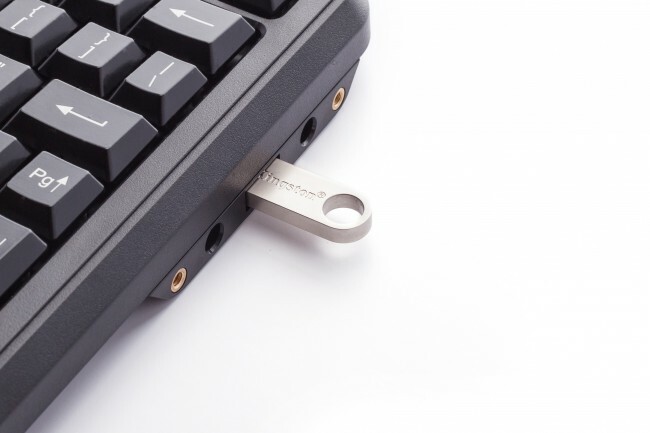 To obtain service under this warranty, the warranty-eligible product, iKey IK-TR-911 Keyboard, must be presented to FB Peripherals Limited in the UK.